Environment monitoring satellites have captured the rapid increase in speed of an Arctic glacier as it starts moving 13 times faster than before. The Negribreen glacier on Norway’s Spitsbergen island has seen a dramatic increase in ice surface speed over the past year with the pace jumping from one meter a day to a staggering 13 meters every 24 hours. — ESA EarthObservation (@ESA_EO) 12 мая 2017 г. This stunning surge in speed has been captured by the European Space Agency’s (ESA) Sentinel-1 satellites which are providing round the clock radar imaging of land and ocean for the space agency’s Copernicus program. “When a glacier ‘surges’ a large amount of ice flows to the end in an unusually short time,” the ESA explain. The reasons behind these surges are not fully understood, but they are believed to be caused by increases in the amount of heat or water in the lowest layers of the glaciers. A team of scientists from the ESA’s Climate Change Initiative are using satellite radar and optical coverage to map glaciers at different times and determine how they are changing. Satellites allow them much greater ability to monitor the giant sheets of glaciers as they can see through clouds and other inclement weather. 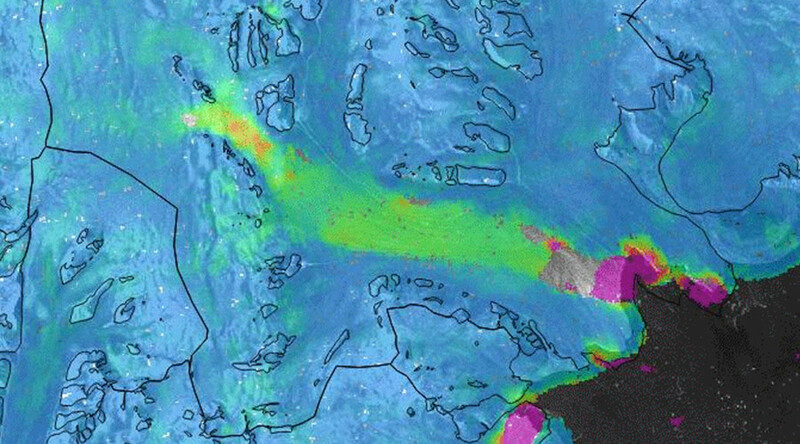 “Sentinel-1 provides us with a near-realtime overview of glacier flow across the Arctic, remarkably augmenting our capacity to capture the evolution of glacier surges,” Tazio Strozzi, who is working on the project, said. Negribreen began picking up pace in July last year and it has been movung faster ever since, even over the winter months. The glacier last experienced a surge of this magnitude in the 1930s when it advanced almost 12 kilometers in one year. It has been steadily retreating over the past 80 years.